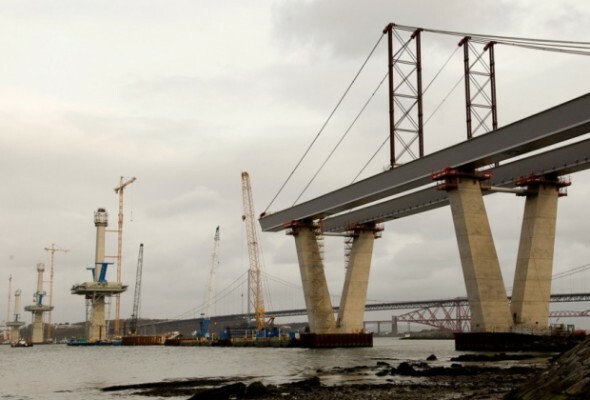 The recent closure of the Forth Road Bridge (FRB) proves a useful catalyst for discussing the role of government in the provision of certain services. “Without government, who will build the roads?” is a commonly asked question by those who are sceptical of the power of the market to provide for them. It is perhaps understandable that this view is taken given the use that we all make of roads every day. After all, perhaps people envisage a system of tolls at the end of every street and barriers at every junction. Indeed, placing a toll booth at the end of every street would seem to be an impractical arrangement. However, the very fact that it is impractical would drive (pardon the pun) the road owners to better serve his customers and to minimise his own costs. Therefore alternatives would be sought: some of which are available right now; some which will have to be developed (it is not my intention in this post to posit a solution to every problem, merely to suggest that some may exist). In considering the issue of roads I present a similar situation in which private solutions are the norm and government intervention would seem ridiculous. This is the issue of common stairwells in blocks of flats. Many such closes exist in Edinburgh. Where the block of flats is privately owned, the stairwell too is private. No-one wonders “without government, who will build the stairs?”; rather the stairs are owned in common and managed by a residents committee. Free riding is not allowed as costs can be recovered in civil suits against any resident who does not pay. The resident’s committee will typically appoint factors to clean or conduct maintenance as required. There is no reason a private cul-de-sac could not operate in the same way. The only difference is that instead of stairs between dwellings, there is a road. So why is it that government is expected to take care of this? Perhaps government involvement would not be as exasperating if they at least did a good job. 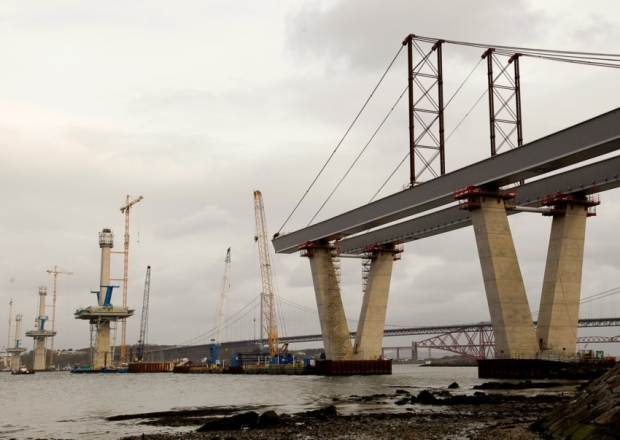 However the debacle with the FRB highlights that they do not. It has been operating over capacity for years. Yet no new crossing was built. Tolls on the bridge were scrapped as a populist measure when an increase, in line with rising demand, would have been the obvious action. Finally, the need for repairs was known as far back as May but no action was taken. And why should action have been taken? The government gets its money from taxing people, not providing them services. Such problems are a common feature of government involvement in building and maintaining roads. It is not limited to the FRB. It was reported that 45% of roads in the Scottish Borders are in a poor state. In 2012, Scottish councils paid out £1.7m in compensation for damage to vehicles caused by potholes. A 2013 survey found 45% of Scottish drivers rated roads in their local area as poor. Any business would struggle to last with such poor performance. 1 Comment on "But Who Will Build The Roads????" Governments built all the roads. more is the pity. They have been an environmental disaster. It’s hard to know what society would look like without them. Maybe workplaces would be more local, more people would work from home. Cities would not be so concentrated and more spread out. There would be far more public transportation and far less travelling in private vehicles. There would still be roads but they would have been paid by private companies to help people gain access to their services – a big road to Walmart maybe. So many trees have been cut down because the government built the roads. Many people say it would have been uneconomical for companies to log so much without government subsidies and building so many roads. We would see all our freight being delivered between cities on railways, or underground services, or bullet trains. Because the inter-city roads have been provided it’s removed the incentive for companies to create these things and retarded the technology. Drones surely would have developed sooner to make small deliveries more cost and energy efficient, saving valuable resources. Communication technology surely would have advanced far quicker. One thing we know for sure is that very few people wanted the roads, otherwise they wouldn’t have had to be forced to pay for them. If roads are to be built then let the people who benefit from them pay for them. No need to force the taxpayer to pay for them at gunpoint, including people who hardly use them or don’t have a car. Have you seen the machine that you dump bricks into the hopper and it makes you a brick pathway? Imagine if the oil/tar industry didn’t have a stranglehold on the road manufacturing, and they made a machine that could build you 100 year cobblestone roads at that speed?